This engagement ring started as a solitaire setting. 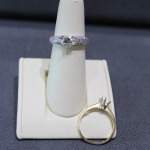 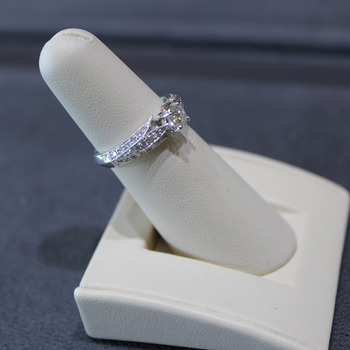 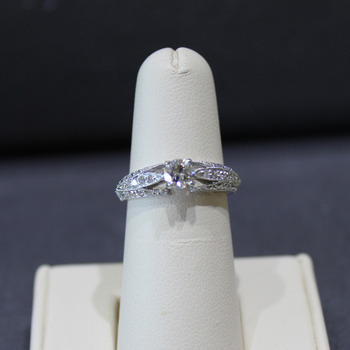 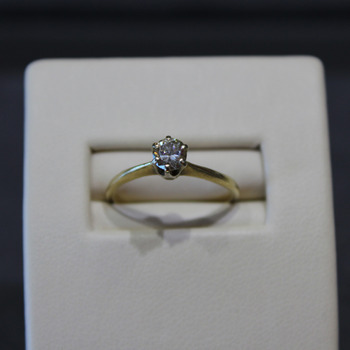 The original ring was given by a family member to be used for a new engagement ring. 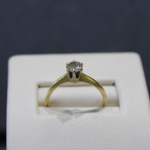 The round solitaire was reset into a 14K White gold semi mounting from stock.